Should you buy the iMac for back to school or at home, or should you wait for the 2018 iMac updates before you buy? The iMac is over a year old, and it looks like we will see a 2018 iMac release date in the near future. 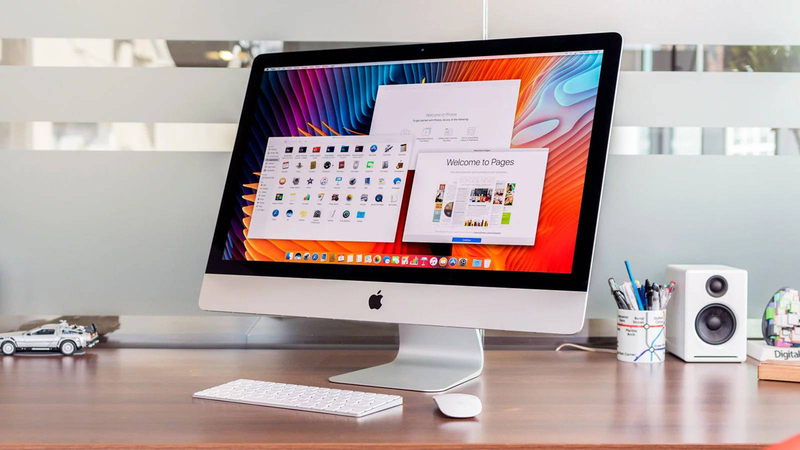 Apple remains dedicated to the iMac all-in-one lineup as the Mac Mini lingers and the Mac Pro upgrade remains a wishful thought. While the iMac Pro arrived late last year with powerful options, it’s out of the price range of most buyers, and overkill for many students and homes users. We’ll help you decide if you should wait for the 2018 iMac release date to buy the new iMac, or if it is best to go get one right now to prepare for back to school or to replace your aging Mac. The 2018 iMac release date is likely coming this fall alongside, or right ahead of the macOS Mojave release date. Apple typically upgrades the iMac every year, but skipped over announcing a new model in June, or when they announced the new 2018 MacBook Pro. Apple currently sells the iMac with a 1080P display, a 4K display and a 5K display. Apple did confirm it is working on a new display to sell when the new Mac Pro release date arrives, and that could be 5K like the current iMac, or even an 8K display. It would make sense for Apple to put the upgraded display in an iMac first. Apple already supports 10-bit color if you a compatible monitor, so it could be part of this upgrade as well. An early rumor about a new iMac design surfaced in 2017, but we haven’t heard anything substantial a new design since. Wait for the 2018 iMac if you need more performance. The current iMac is no slouch, but Intel now offers more powerful processors, and there are new GPU options that can supercharge the iMac in 2018. Specifically we could see a 6-core processor option for the 2018 iMac. Apple added these to the 2018 MacBook Pro, and it looks like we will see performance boosts for the new iMac this year as well. Apple includes an Apple processor known as the T2 in the iMac Pro and the 2018 MacBook Pro. There is a good chance that we could see this come to the 2018 iMac upgrade as well. From a GPU standpoint, we will likely see Apple opt to AMD Vega GPU offerings, but not to the level of the iMac Pro. Ming-Chi Kou expects a new iMac display in 2018. 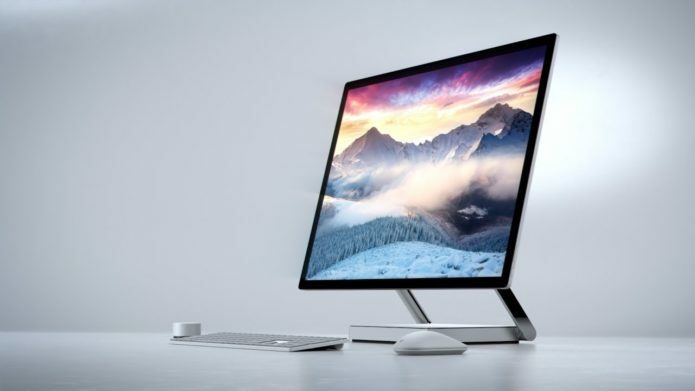 The 2018 iMac display is getting an upgrade according to Ming-Chi Kou. This upgrade is not specifically called out, but Kuo’s track record makes this a very likely change — and as the display is built-in a change worth waiting for. We already see 4K and 5K screen options on the iMac. Apple still offers a 1080P entry level iMac, and it is possible that screen option will not make the cut, if the entry level GPU can handle 4K. There have been some rumors about an OLED Apple display, or an OLED iMac, but again it is not clear if the capability is ready. Apple is working on a new display for the Mac Pro, and we could see that technology come to the iMac first. We saw the 5K iMac as the go to Mac if you want to use a 5K display for a short period. The catch is that an 8K display would likely hit the iMac Pro first. Apple added True Tone to the 2018 MacBook Pro, so there is a chance that Kuo’s display upgrade is simply True Tone for the iMac. True Tone is a display technology that keeps the white balance looking the same to you, the user, no matter the environment. While the iMac isn’t portable, lighting conditions change throughout the day. One of the major reasons to wait for the 2018 iMac release date is that you won’t likely need to wait very long for it to arrive. According to Ming-Chi Kou, Apple is working on a new iMac. This is a good sign that Apple is getting close to the release, which will likely come in the next two or three months. Apple surprised us with the 2018 MacBook Pro release date in July, so there is even a chance that new iMacs will simply go on sale in August. It’s more likely that you will need to wait a month until the September Apple Event where we expect that Apple will announce the iPhone 11 and potentially the new iMac. Do you keep your Mac for a long time? If there is a good chance that you will want to use the same iMac for the next four years of school, or for a long time at home or work, you should wait. The current iMac is good, but waiting a few months, will get you a better performing iMac that can meet your needs longer. Even if you are looking at starting school with an old computer, I would wait and see what Apple does with the new iMac models before you buy one. You may be better served by a MacBook Pro in 2018. If you bought your last iMac three or four years ago, you should take a look at the MacBook Pro to see if that is a better option for you in 2018. Apple’s upgraded the mobile computing power and options significantly in the last several years. You can now get a MacBook Pro with an impressive amount of internal storage, powerful processors and you can power multiple 4K displays or a single 5K display with the MacBook Pro. Don’t wait if you like the current iMac deals. One reason to buy the iMac today, instead of waiting for the 2018 upgrade, is to get a good deal on a model today. Apple is running back to school deals that combine student pricing with a free set of Beats headphones. Best Buy is discounting the iMac and you may occasionally see them offer up bigger discounts for students like they do with the MacBook Pro. B&H Photo offers $200 to $400 off the iMac, which allows you to save big on the current models. Plus, they don’t collect tax outside of NY or NJ. Is your current Mac broken, or does it take too long to get your work done? If you cannot get your work done, complete your school work or otherwise use your Mac, it may not be worth waiting for the new model. While there is a very good chance that the new iMac is coming soon, Apple may pull a surprise and not start selling it until much later this year. Factor your current workload and commitments into your decision. At this stage, most people should wait for the 2018 iMac release date before buying a new iMac. We don’t expect massive discounts on the 2017 model when this happens, but you may be able to find a deal from someone upgrading or from a retailer clearing out older models. You’ll also get a much better performing computer that is going to be suited for handling your computing needs for longer, and it will likely get macOS upgrades for another year. If you wait, you get the chance to decide if the new iMac is the best computer for you right now, but if you buy, you won’t likely be able to return and upgrade to a new iMac if one comes out in a month or two.